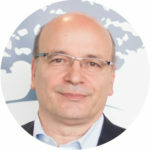 Mario Molteni is Full Professor of Corporate Strategy at the Università Cattolica del Sacro Cuore (Milan, Italy) and Rector’s delegate for business relations. He is CEO of E4Impact Foundation, a spin-off of the Università Cattolica del Sacro Cuore which offers impact entrepreneurship MBAs in partnership with African Universities. He is founder of ALTIS (Graduate School Business & Society) at the same university, an international research and education institution for CSR and entrepreneurship, where he has been Director from 2005 to 2015. He is the author of numerous books and scientific articles on Corporate strategy, Entrepreneurship, Corporate Social Responsibility and Social Entrepreneurship. In 2015 he has been named Ashoka Fellow.